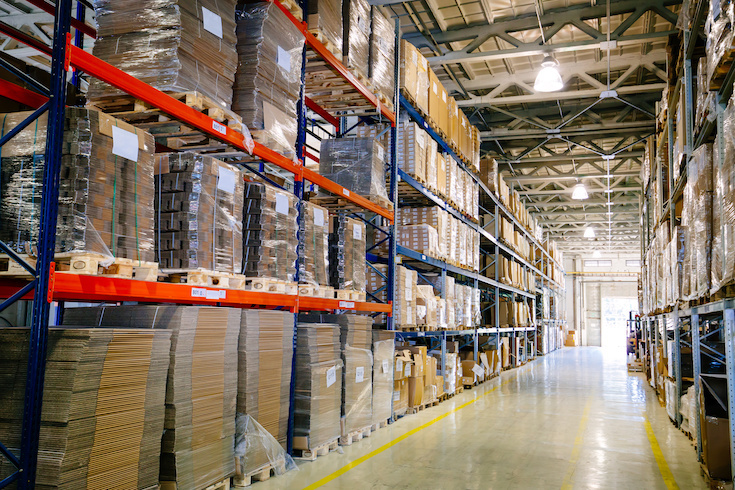 Industrial racking for palletized goods or Adjustable Pallet Racking (APR), is the most common storage system to be found in our warehouses. The loading capacity of those storage systems depends on different factors explained with this article. Lots of product references stored. Few loading units per each reference. Counterbalanced and retract lift trucks. Those are normal conditions in our company’s warehouses. In this scenario the most suitable storage system is the conventional pallet racking, also known as APR, Adjustable Pallet Racking. The way of storing, chaotic style, permits the access to all references at any time and the loading units can be stored at any free spot in the racking. This storage system is built of mainly pairs of beams in the height, horizontal components on which the loading units are stored, of frames in the length, vertical component of the racking on which the beams are installed and transfer the loads and forces to the floor. Beams and frames constitute portal structures in both the height and the length direction. The loading capacity of such storage structure and by extension, the maximum permitted weight per unit load, is being determined among others by following variables. Steel racking producers normally have a wide range of profiles for both frames and beams. Those profiles may vary in shape, dimensions, steel thickness and steel quality. Depending on how former factors are combined, the loading capacity may vary. It also has influence on the final loading capacity of the structure the way how the main components are combined. In that sense it is of great importance the distance in the height of loading levels (beam levels). This distance in the height between loading levels, also known as buckling length is more relevant at deeper loading levels. In general terms it can be said that the bigger the distance between loading levels, the lower the capacity of the overall racking structure. The distance in the height between loading levels is mainly determined by the height of the loading units to be stored. And the height of the upper loading level depends on the dimensions of the building and the max. elevation capacity of the lift truck. The loading capacity of the beams that conform the loading levels, is generally determined by max. admissible beam deformation. For pallet racking operated with conventional lift trucks, the applicable criteria is that of a max. beam deformation measured in the center of the beam no bigger than the beam length divided by 200 (L/200). As an example, for a beam length of 2.700 mm. for the storage of 3 europallets of dimensions 800 x 1.200 mm., the max. admissible load will be that uniformed distributed load producing a deformation in the center of the beam not bigger than 13,5 mm. (2700 / 200 = 13.5 mm.). A loading bay is defined by two contiguous frames and the loading levels between them. A pallet racking with three loading levels (apart from the floor level) to store 3.000 Kg on each level, the bay load is 9.000 Kg. (3 x 3.000 Kg.). The required upright profile for the frames depends on the number of levels, the distance in the height of those loading levels and the number of bays in the length. Additionally because of stability criteria it has to be taken into account the height of the upper loading level, the frame width and the total run length. The loading capacity of a steel racking structure also depends on the movements of the same. One way to limit those movements is installing vertical and horizontal bracing. Doing so, a higher theoretical loading capacity of the racking is achieved, or it is possible to reduce the price using smaller profiles. But we at Noega Systems do not recommend the use of bracing with conventional pallet racking. The experience shows us that those bracing easily with the normal use of the racking. And in many cases the bracing is used as back stop for loading units. This situation ends up means that the bracing are not effective and do not work properly as foreseen in theory. The consequences are lower loading capacities putting at risk merchandise and workers. The use of bracing obliges to a continuous monitoring and maintenance of those elements to assure a proper functioning and to keep the loading capacity the racking was originally designed for. All this has to be indicated in the loading plates that have to be installed in a visible place in the warehouse so that anybody can check them at any time. Among the information to be contained in the plates are the separation between loading levels, the maximum weight of the loading unit, the maximum loading capacity per level, and the maximum loading capacity per bay. The loading plate have to be provided by the racking supplier or producer, and summarize the technical specification of the project and of the pallet racking. Therefore, as we can see, the loading capacity of a steel industrial racking has multiple sights and depends on different factors that combined in different ways may produce different loading capacities. 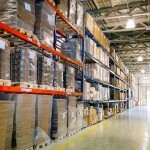 Any change in the specification of the racking, like the modification of the heights of loading levels, or to determine the loading capacity of an existing pallet racking, it is our recommendation to talk to the supplier of the equipment, or in its absence to contact an expert to ask for a technical validation of the storage system according to current norms and to properly document the racking. Are you using your racking correctly?